Setup your WordPress site with your own domain name. A domain is a URL or website where you can place your written content or products for your customers to access online. In order to write your blog posts, or sell your products, you need a platform to host it on. We like using WordPress, because it’s pretty simple to use, even for beginners, but is still versatile enough to allow for customisation. Take soptemplates.com for example, we started with a template, but found that we wanted something quite specific, so we hired a freelancer to implement the design we wanted. Although there are many custom features on our site, we are still able to add our own content with our limited knowledge of coding websites. The SOP that you can download above will instruct you or your freelancer how to ‘point’ your domain at WordPress. 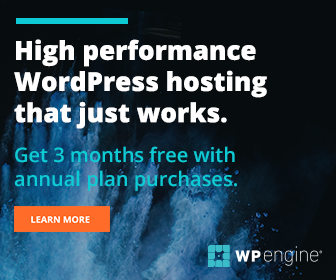 WordPress allows you to self host your website. This means you purchase a domain name, such as soptemplates.com, but use WordPress to create and publish your content. The other option, which is more popular with casual bloggers, is not to purchase a domain, but use a WordPress subdomain instead. This means that while you choose your own name, the end of the domain will include wordpress.com. Buying a domain is an important step in creating a professional image for your website. While WordPress and other blogging sites also allow you to use a free domain, it will have the name of the blogging platform within the URL, and it will make your blog appear less professional. If you purchase your own domain, you can then also set up your own email address, which includes the domain name. For example, hollie@soptemplates.com. You can set up your own email address by following this SOP Template for Setting up a Custom Email Address. Having your own domain will also protect your identity and ideas, especially if you choose your own name as your domain url. If you haven’t settled on a domain name yet, now may be a good time, to think about doing some keyword research in order to take advantage of free organic traffic from Google. Google tends to put a lot of weight on the URL of a website when it comes to their search results. Although you might want some jazzy name for your business you might consider choosing a website domain that is keyword rich, in order to reap the benefits of free traffic from google. Choosing a name that contains keywords that many people are searching for means that you are not only extremely lucky, but maybe have a higher chance of ranking well in Google and being found by your potential customers. Check out these 10 Tips for Choosing Your Domain Name. When purchasing your domain name, you should not also consider buying your.com but also .co.uk and other TLDs (Top Level Domains), especially if you trying to build a reputable brand. Many domain name providers will allow you to buy the TLDs for your chosen domain as a package, so if you are sure about your domain, you will want to protect it from potential competitors. Buying them as a package will also be cheaper, and safer in the long run. However, this isn’t something you need to agonize over. It may be better buying one TLD domain to begin with and testing it out before putting more money into your site. What Do I Do When Someone Has a Domain Name I Want? I want to add here that you should probably stay away from trademarked brands that get a lot of traffic, such as iPhone and Apple. To learn a bit more about this, you can listen to episode 0714 of Pat Flynn’s podcast ‘Ask Pat’ here. Now you have your domain name, you need to create a WordPress account. Just go to WordPress.org and follow the instructions. If you want to make a simple blog without self-hosting you can visit WordPress.com and signing up for an account. This SOP will show you how to direct your domain to WordPress. This can be quite a complicated procedure, especially if it’s something you’ve never done before. You may want to hand it over to a freelancer, who will be able to complete the task quickly. "PODCAST COVER ART THAT STANDS OUT"
"Create a Hassle-Free Electronic Signature for a PDF"
Keep us fueled-up with the good stuff.